On-line mobile phone news website BGR has published the exclusive news that Samsung is to be announcing a new Google mobile OS based tablet at MWC in Barcelona – with a retina resolution, similar to that of Apple’s mobile phones. ITProPortal.com has just received the first mobile phone to arrive running the very latest version of the Google mobile Android ‘Ice Cream Sandwich‘ 4.0 OS – the Samsung Galaxy Nexus. 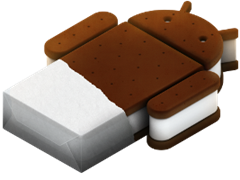 Mobile phone network Vodafone has started retailing the world’s first handset to run Android ‘Ice Cream Sandwich‘ 4.0 – in the Samsung Galaxy Nexus, with a cost attached of £299 and a monthly fee of £26. Popular Windows Phone and Android developer’s forum xda-developers.com has had one of its members port the very latest version of the Google mobile phone OS, to the three-year-old HTC G1 mobile phone. 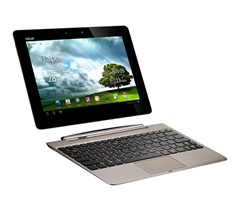 Graphics chipset maker Nvidia has published footage of the recently announced Asus Eee Pad Transformer Prime – with the very latest Google mobile OS, before the tablet ships with Android ‘Honeycomb‘ 3.2 in January. India based title The Economic Times has it that Apple’s Steve Wozniak was gifted the latest Google Android phone, after a tweet was sent by the iPhone 4S company’s co-founder. 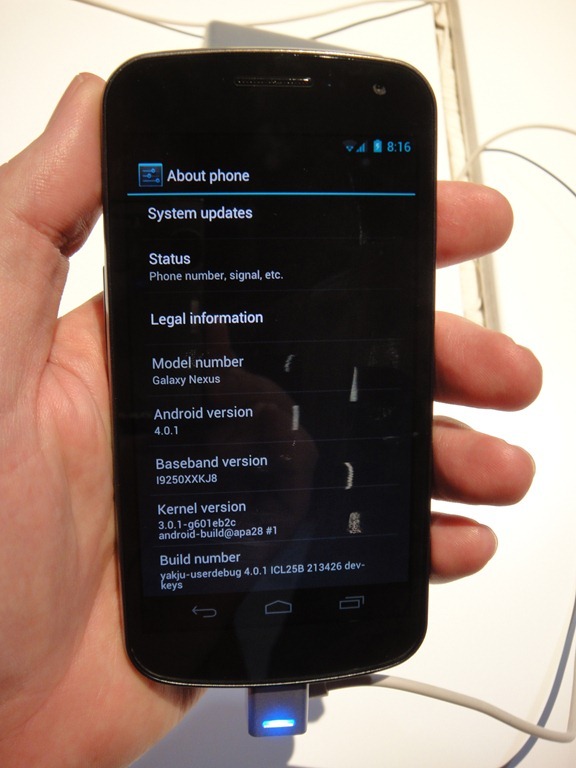 Consumer electronics giant Samsung’s Galaxy Nexus Android ‘Ice Cream Sandwich’ 4.0 handset went on sale last week, where reports of the lack of an Adobe flash player has already been noted by early adopters. Our sister in-depth IT title thinq_ has published a piece surrounding Google releasing ahead of schedule the source code to the platform running on the Samsung Galaxy Nexus.